> Blog > Blog > Was Maroon 5’s Halftime Show a Fumble? There are three reasons to watch the Big Game (you know which one): great football, great commercials, and a rockin’ halftime show. This has been a tradition for decades, and has featured artists such as Michael Jackson, Madonna, Paul McCartney, Tom Petty and the Heartbreakers, the Rolling Stones, Bruce Springsteen, Beyoncé, Britney Spears, Aerosmith, Prince, Katy Perry, and Lady Gaga, to name a few. You expect chart-topping performers. Looking at social media today, two messages were loud and clear – the game was “boring” and the halftime show with Maroon 5 and featuring Travis Scott and Big Boi was lackluster at best. When I see a halftime show, I want great music, a great show, and some sort of spectacle. Katy Perry had a stunning performance in 2015 where she rode in on a giant mechanized lion, and having a couple of costume changes as well. Who can forget those dancing sharks? 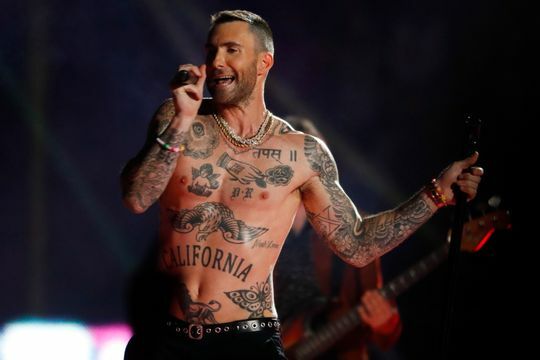 Adam Levine’s costume changes amounted to him slowly taking off his coat, shirt, and so forth until we got down to his tattoo-covered chest. Don’t get us wrong. It was a good show, but it just wasn’t a great show. It would have been fine for a regular Maroon 5 concert, but this was not a regular concert. It’s the Big Game. As important as it is to find the right venue for the band, it’s equally important to find the right band for the venue. For the halftime show, we expect a little more.